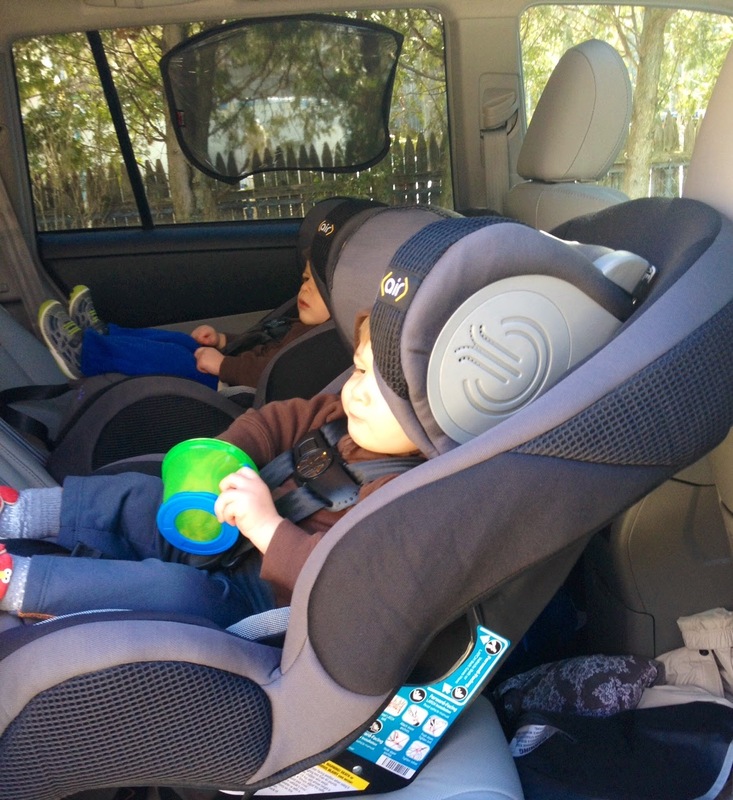 We finally moved our little guys from their Infant Car Seats to Convertible Car Seats (still rear-facing though). At 15-months, you'd think we would have done this transition by now, but our 'lil twinnies still fit the height and weight limits of our former infant car seats. However, they are too heavy to carry them and a car seat, thus the upgrade to big boy seats. Using the LATCH system in our car, we installed two Safety 1st Complete Air 65 Convertible Car Seats with advanced Air Protect® Side Impact Protection. I can't believe how comfy their new seats look, like first class airline chairs. Heck, I want to sit in it! Best of all, the boys seem to like the freedom of these seats more than the U shape of the infant seats. Yet, at rear-facing, they are still in a reclined position, which will be good for road trip naps And from a totally aesthetic standpoint, I think they look stylish in our SUV. This model received a four star rating from customers on BabiesRUs.com. The site description reads: "Safety experts agree to keep children rear-facing longer and keep forward-facing children in harnesses longer. 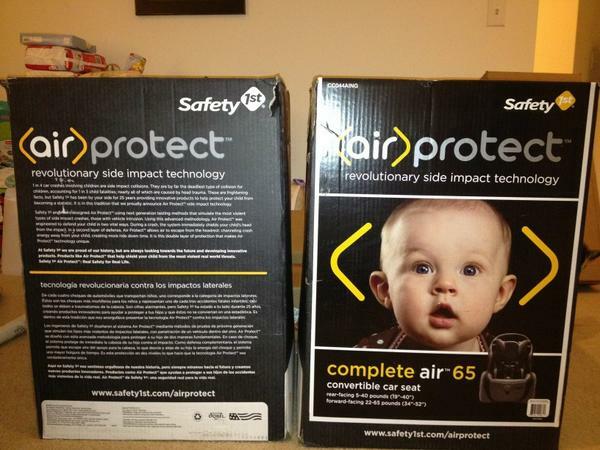 The Complete Air 65 keeps your child well protected through two separate stages: from 5 to 40 pounds and 19 to 40 inches as a rear-facing infant car seat and from 22 to 65 pounds and 34 to 52 inches as a forward-facing toddler car seat. 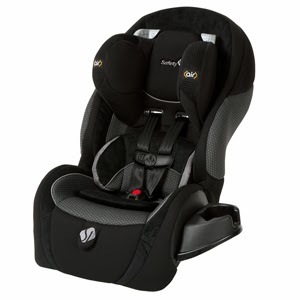 With QuickFit up-front harness adjustment and an easy-adjust 5-position headrest, you'll appreciate the convenience features offered by the Complete Air 65 Convertible Car Seat just as much as the added safety. The Side Impact Technology shields the child's head and immediately reduces side impact forces through the precise release of air, reducing trauma in an accident. The seat also features a washable seat pad, LATCH attachment and removable cup holder." Next, we'll be switching their seats to forward facing, but with the way they are growing, we still have a while.